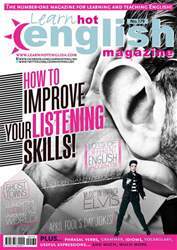 Digital Subscriptions > Learn Hot English > 179 > GHOST TOWNS! Read or listen to the article once. Were any of your ideas from the Pre-reading activity mentioned? Which ghost town is the most unusual? Why? 1. …was established in 1887? 2. …was founded in the 8th century? 3. …grew after gold was discovered there? 4. …is known as Little Paris? 5. …won’t be habitable for the next 20,000 years?